The millennial generation represents individuals born between the year 1981 and 1997. 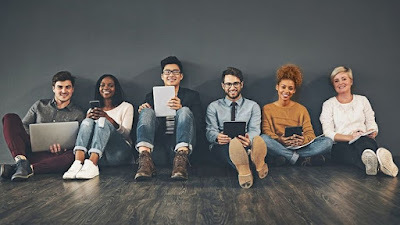 Historically, millennial's have saved more than any other generation- with an estimated 71% of them saving for retirement around age 24, that beats out Gen X's (people born between 1961-1981) median of 30 years old. Despite 1 in 6 millennial's having $100,000 (According to Bank Of America better money habits survey) in their savings- they have not explored the stock market as much as past generations. It's no surprise why millennial's have not invested. When they became of age- It was during the 08-09 housing market crash. When the S&P 500 lost about 57% of it's value. But as investing becomes easier for middle class people thank's to phone applications that offer free no commission trading. Millennial's have been investing more and more. But they have not taken the same traditional investing routes that Generation X and baby boomers took. Here's what I think of the 20 most bought stocks by millennial's. Okay, not a good start for millennial's. Chesapeake Energy (CHK) is a penny stock priced at $4.50. They are a priced at $4/Share for a reason. Since 2014 revenue is down 13 billion, assets are down by 28 billion. But on the bright side- Income has been profitable for the first time in three years. Square(SQ) has been the hottest stock of the year.. but in my opinion they are still a bit speculative.. they have not had a long history of being profitable. But revenue over all has shot up dramatically over the last few quarters. A company with a low profitability.. But profitability non the less. I like the potential of this company in a growing space. As long as they can co exist with the Chinese government they have the capability to prosper. I won't go into to much details. But Amazon (AMZN) has been on of the fastest growing companies ever and I don't expect it to stop. They could be the first multi trillion dollar company. 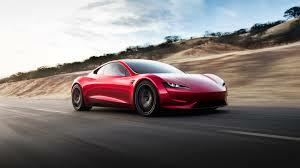 Despite Elon Musk being in trouble with the SEC I like Tesla(TSLA). They have not shown profitability yet. But once they are able to mass produce vehicles- watch out. Probably a little over valued for my liking. But I love this company and the technology they put out. They are one of the most innovative companies in the world with some of the best employees. 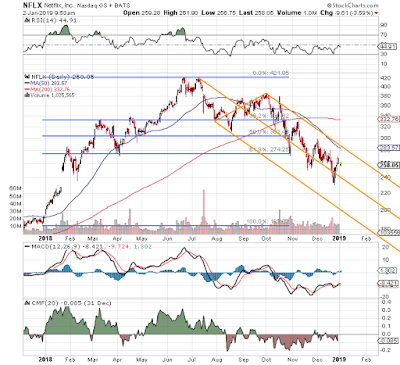 Bank Of America (BAC) is a solid long term investment. They have not shown much growth but are certainly set up to be a nice long term stock to hold. 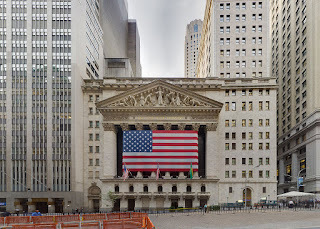 They pay a dividend and are one of the biggest financial institutions in the world. With A decent balance sheet I would hold on to BAC. For me, this is a decent short term investment.. 1-2 years max. They have dominated a space with literally no competition. But it won't always be like that. A few other streaming services are emerging in the space.. And they are monstrous companies to compete with.. Including Apple, Disney, Facebook and Amazon. I just don't see twitter being able to compete long term with Facebook. It's that simple. 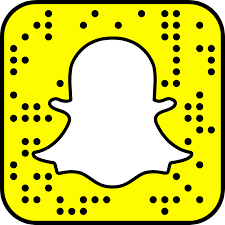 With over two billion active users. A well diversified portfolio of apps, a slew of high roller advertisers.. I love Facebook it is currently my second biggest position in my portfolio. A company that had a golden ticket and blew it. They had all things going right and management blew it. I don't believe in this company or management until they can prove to be successful. Okay, this one is a bit interesting.. If it wasn't for Apple and Samsung it would be a buy. Before they came around- Fitbit was profitable and owned the majority of market share. If for some reason Apple and Samsung botches wearable tech.. I may be interested again. One of the biggest and most profitable companies in the world.. Even if they aren't the growth monster they were back in the early 2000s... I'm okay with that, They still grow at a good safe clip, pay a dividend and are not afraid of innovation. Other than the dividend.. Why? Refer to number 3.... why? other than the dividend these companies are showing no growth, no innovation.. they have become complacent and boring. Simply the safest investment out there. They have so much market share.. cash.. dividends.. great management.. innovation.. They check all the boxes for me. Is Apple In Big Legal Trouble? 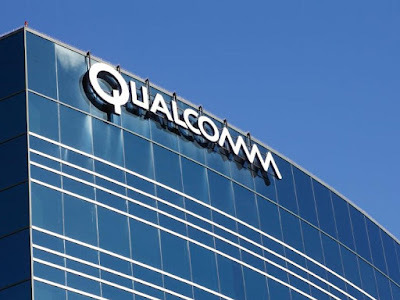 Apple(AAPL) and Qualcomm (QCOM) have been in a legal battle for about nine months now. 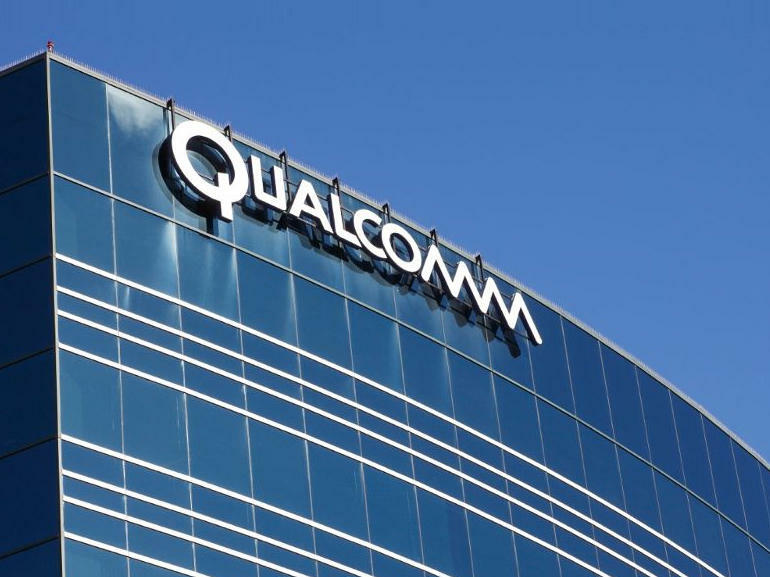 In January the smart phone giant Apple sued Qualcomm. The basis of the court claim was that Apple was disputing QCOM's legal right to charge heightened royalties for the use of it's chips. Apple is suing QCOM in three different countries, the biggest of the lawsuits being in the United states for $1 billion. This lawsuit comes just days after the Federal Trade Commission filed their own lawsuit against QCOM. Apples entire basis of the lawsuit is that " the more Apple innovated with unique features such as TouchID, advanced displays and camera to name just a few, the more money Qualcomm collect for no reason and the more expensive it becomes for Apple to fund these innovations." Apple representatives' also added that "despite being just one of over a dozen companies who contributed to basic cellular standards, QCOM insists on charging Apple at least five times more in payment then all the other cellular patent licensors we have agreement with combined. " For those that don't already know- Qualcomm is the is one of the biggest and most successful chip processors in the world. 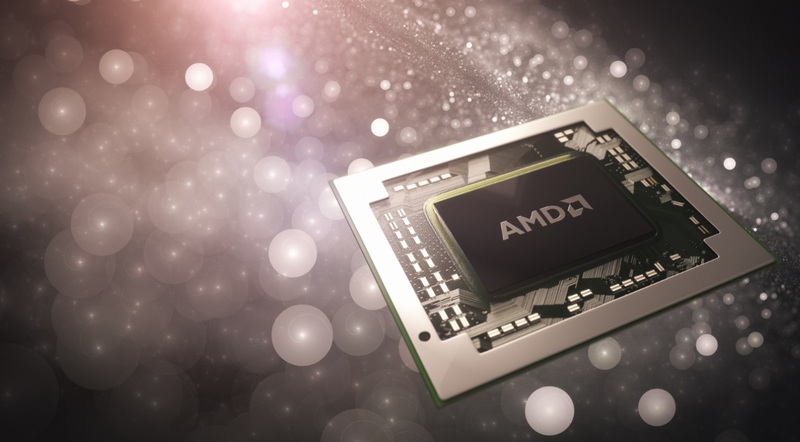 Some may even give them the competitive edge over other large chip processors. 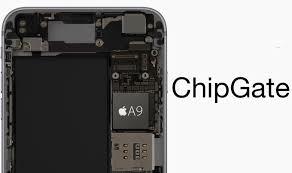 Their chips have been in a slew of smart phone and tablet devices.. From HP, Samsung, Windows to Iphone. Before Apple dropped them they owned 50% of the worlds wireless stand alone chip modems. (MediaTek and Intel being the next biggest two). Essentially- During the Federal Trade Commissions investigation they talked to QCOM as well as their business partners. Apple of course, cooperated the the FTC which QCOM did not appreciate. 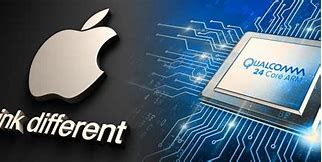 Apple alleged that QCOM is with holding a billion dollars from them because of their cooperation with the FTC. QCOM denies this. QCOM responded by saying " Apple has intentionally mischaracterized our agreements ad negotiations, as well as the enormity and value of the technology we have invented." The CEO added " We welcome the opportunity to have the meritless claims heard in court where we will be entitled to full discovery of Apple's practices and a robust examination of the merits." But in a twisted turn of events, QCOM has turned around and sued Apple for something completely different.. They made a massive claim saying that Apple stole their source code and gave it to rival chip maker Intel. If proven to be true- this could cost Apple billions of dollars in fines over the next few years. Qcom claims they have indisputable evidence against Apple. Despite the on going legal battle- Qcom CEO Steven Mollenkompf says a partnership with Apple in the future is not out of the discussion. In my personal opinion- QCOM needs Apple more than Apple needs QCOM. However the tables could quickly turn if Intel chips do not live up to expectations. Which is a legitimate possibility if they did actually steal the Intel (pun intended) from Qcom. 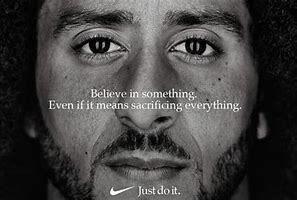 Unless you've been living under a rock- Nikes Colin Kaepernick advertisement has stirred up a lot of controversy the last few weeks. Nike has been the center of controversy a few times, but this time it seems different. They released their quarter three earnings report and I was pleasantly surprised. For the fourth quarter in a row they have surpassed the estimated earnings per share. The actual EPS was $0.67 compared to the $0.62 expected. An 8% beat. Which represents A 16% average beat in the last four quarters. One of the best runs Nike has been on in recent history. On top of the earning per share beat- they also grew revenue by over 10%. Which is expected to continue to grow thanks to their converse brand which is up 7% in large part by their growing popularity in Asia and Europe. In fact their footwear has really taken off .. again. The company has been putting their increasing revenue to good use- Cash and equivalent and short term investments are from $4.3 billion to $1.3 due in large part by their dividends and share buy back program. 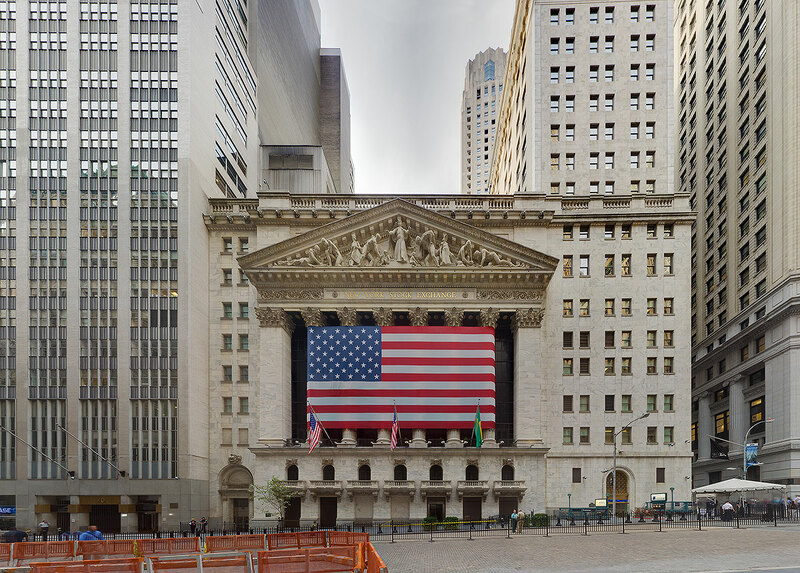 This quarter the spent $1.4 billion on shares for the buy back program. The program was approved by board of directors in 2015. They are expecting to buy 12 billion worth of shares. Despite the good numbers the put up shares still fell 3% early Wednesday morning. But the sell off seems like nothing but an over reaction. The numbers were solid and they have a healthy balance sheet to mix with their buy back program I personally would rate this stock a buy.. with a price target around the mid 90s. The income statements is one of the three financial statements a public company releases every quarter. 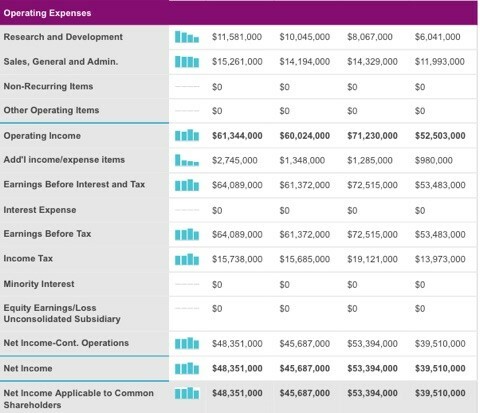 The income statement will show the profitability of a company, it will show income and operating costs. This is especially important when considering investing in a company for it's dividend- You will be able to see if the company can keep up and increase the dividend .. or if they are in over their heads. This will be a line by line breakdown of Apples most recent income statement and what all the numbers mean. On most websites it will give you the option to sort the data annually or quarterly- It is important to know that the number represented here are in the 000's. Meaning $200,000,000 is not 200 million but rather 200 Billion. Total Revenue- Price of goods times the quantity sold. Cost of revenue- Total price is costs to manufacture and deliver goods. The next section will be larger. Research and development- Money a company uses towards innovation and improvements of the company. Sales and general admin- The sum of all direct and indirect selling expenses. This could include stuff such as utility bills, lease payments, vehicle rentals etc. Non recurring items- Any one time payment that they are not expected to pay again- this could include litigation fees, write offs, bad debt or worthless assets. Other operating items- Any operating expense that does not fall under a category above. Operating income- Is a measurement that shows how much of a companies revenue will eventually become profit. Earnings before interest and tax- All earnings before taxes and interest are deducted. Interest expenses- A cost incurred by the company for borrowed funds. Earnings before taxes- Revenue minus expenses. Excludes taxes. Income tax- Revenue a company owes to the internal revenue services. Net income applicable to shareholders- The bottom line profit that belongs to the shareholders. If your interested in learning how to read other financial statements- You can learn here! Historically the month of October has been one of the worse months in the calendar for people invested in the stock market. Going back to the panic of 1907, black Tuesday, Wednesday and Thursday of 1929 the repeated black Monday of 1987 and even more recently the black Swan event in 2001 and 2008. Which just means that it's a good time to buy at a discount, there are three companies I'm looking to add shares to. Two are already staples in my portfolio and the third is an old school company with a nice dividend. 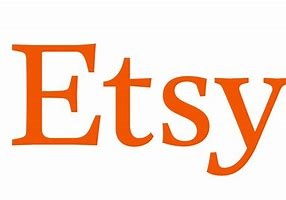 The first company I'm going to be buying more shares of it ETSY (ETSY- $48.92)- I already wrote about ETSY in a previous post so I won't go crazy on this post. 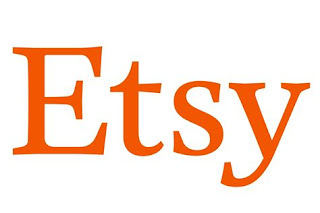 Etsy is a marketplace for people that make, sell or manufacture hand made goods. With over 2 million active sellers and 35 million buyers (80% of which return and buy a second item) - they have exploded over the last year. Up over 200% YTD CEO Josh Silverman has lead this company to the top. Since he became CEO in early 2017- cash and cash equivalents are up 73%, assets are up 18%, net income is up 370% total revenue is up 20% and debt has actually decreased by 11%. During their recent earnings call, they announced they will be raising the seller for from 3.5% to 5%- a 40% increase on their biggest revenue. If sellers don't over react to this increase it would be massive for the company. Proctor and Gamble (PG-$84.40) are a staple for any long term blue chip stock investors. Boasting a 3.43% dividend yield they have been able to pick up steam again in recent months. Up 10% in the last 90 days- they have really picked it up. 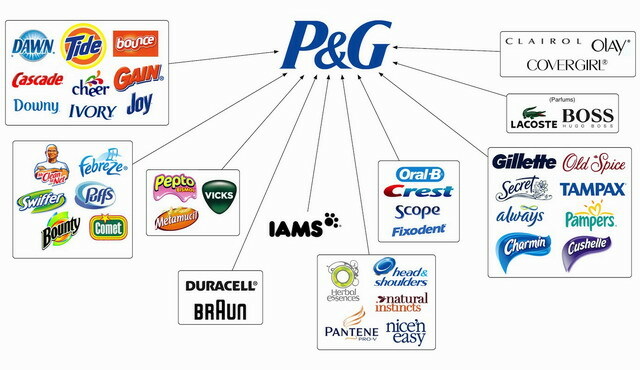 For those that don't know who P&G is- I promise that you probably used on of their items today. They own a massive slew of brands from Tide, Bounty, Cascade, Head and Shoulders, Crest, Oral-B, ,Charmin, Olay, Cover girl and the list goes on. They are even partnered with Lacoste and Hugo Boss. The diversity of items has really allowed them to prosper. Since 2014 assets are up 107%, net income is up 254%, gross profits are up 109% and total revenue has increased by 106%. 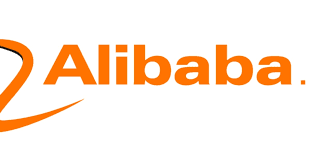 They have been effectively cutting costs, with an operating margin of 20%- they are able to out perform other competitors such as Kimberly Clark (KMB) and Unilever(UN). In recent news, they unveiled a new product- Beard care products. Already owning more then 60% of the market share when it comes to shaving products this could be a massive complementary item for them to continue to push profits. 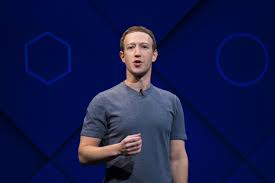 Facebook is one of the most popular websites of all time, with other 2 billion active users on the Facebook platform alone- over 1.5 Instagram users, 2 billion Whatsapp users and 1.5 billion Facebook messenger users it's no secret how they have amassed such a heavy cash stream. Up 250% in the last five years, I think the next five could be even better now that Instagram and Whatsapp are starting to be monetized more and more. 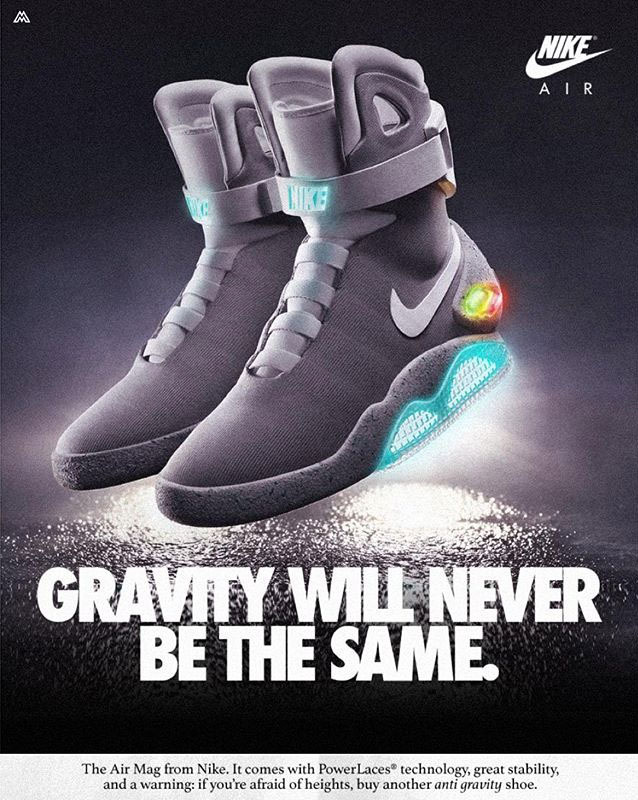 The reason I like them is simple- advertisement money. 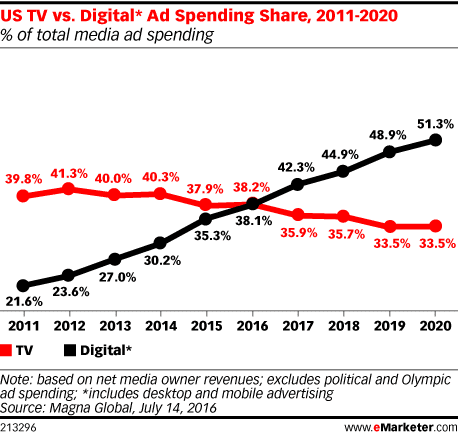 For the first time ever in 2017 digital ad revenue has surpassed TV ads. Facebook being one the major beneficiary of those ads (Google was the other massive beneficiary) there's no secret why companies would rather advertise on social media. The ads are far, far, far, more effective. 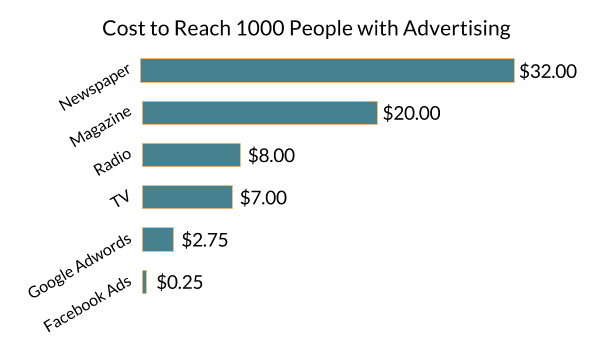 It takes on average $7 for a TV ad to reach 1000 people- It takes Facebook just $0.25. These ads even hit targeted audiences better too.. You are able to target a specific location, age group, gender and even filter people by life events such as new relationship status, new job and even online purchases. But it goes beyond the ads, there is a massive project that they are working on.. one that will not only change the company but change the world. 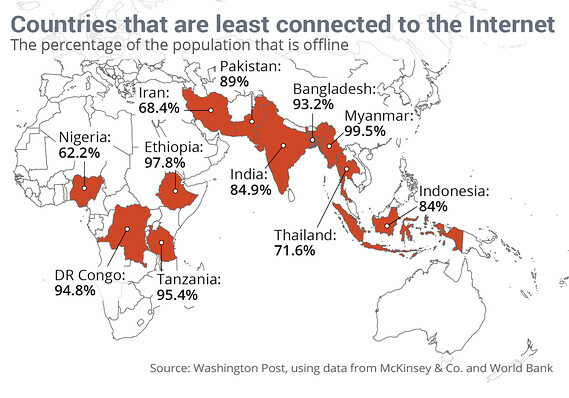 Over 60% of the world does not have regular access to the internet.. that's 6 out of 10 people. Facebook wants to change that.. they are testing out drones that can hover in a specific spot for years that give of a Wi-Fi signal so people that don't have access to the internet will be able to finally use it. It's going to be a long and expensive trial, but if they figure this out the number of Facebook users could pop. It could literally double in the matter of a year. 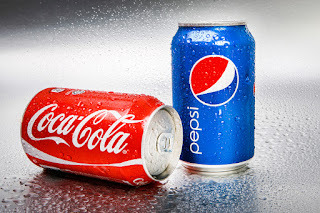 Coca-Cola and Pepsi are almost the exact same beverage- and the companies are very similar as well.. You can go down the line and compare product to product.. PepsiCo has Gatorade, Coca-Cola has PowerAde, PepsiCo has Ocean spray and Tropicana and Coca Cola has minute maid and vitamin water. You can look down the line of product's and their respective counterpart has a very similar brand under their wing. But as similar as these companies products are- I look at them completely different when considering investing in them. 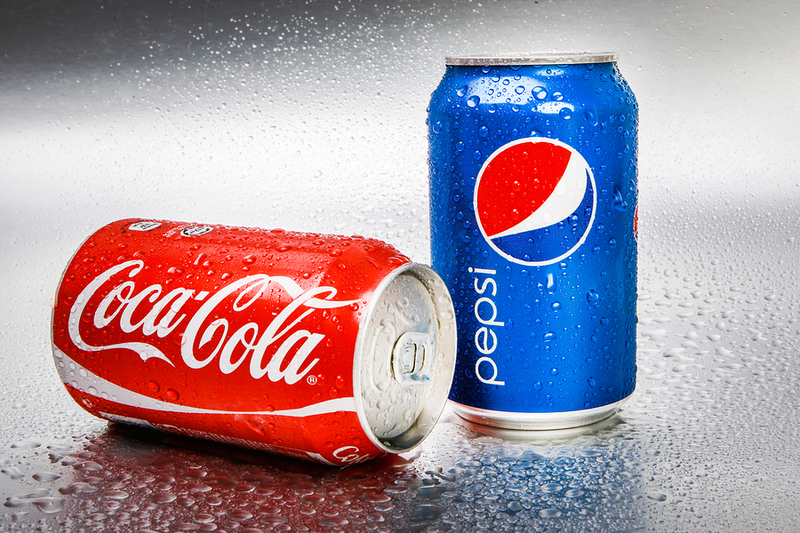 Both companies pay out a nice dividend- Coca Cola is currently yielding a 3.39% while Pepsi is yielding 3.24%- Obviously dividend investors will flock towards Coca Cola for the higher yield. However, the payout ratio is heavily in favor of Pepsi. 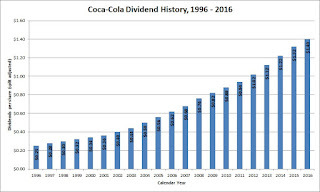 Coca Cola is known for it's dividend that seems to always be increasing, the issue with this is when dividends are raised and profits don't increase with it they start to become upside down. If profits don't increase they will have to stop increasing the dividend or even cut it. If your looking to invest in either of these companies for the dividend you can literally flip a coin. 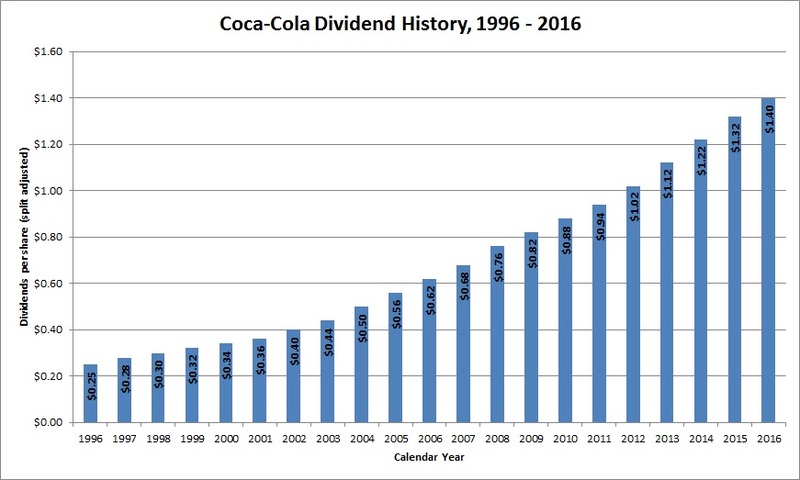 If you don't mind taking the risk of Coca Cola paying out a high margin of their profits then you can invest in them, or take the smaller but healthier dividend in Pepsi. Coca Cola has a farther reach in terms of a customer base- They reach over 200 countries with their products and almost 97% of the worlds population recognizes Coca Cola or one of their brands. 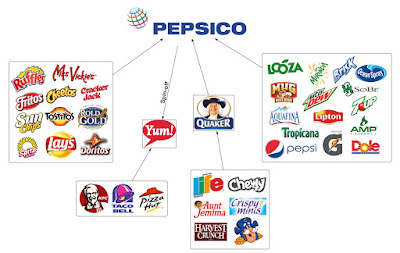 But Pepsi is not to far behind they are serving nearly 200 countries they offer a wider variety of products. On top of their beverages they also have a wide variety of snacks. They own Cheetos, Fritos, Doritos, Lays, Tostitos, Ruffles, Quakers and more. In fact over 50% of their revenue comes from snack foods. In my personal opinion I would lean more towards Pepsi- The benefit of being more diversified is more attractive to me then the high dividend that Coca Cola offers. Plus PepsiCo has gotten out in front of the health cautious craze. In fact since the late 1990s the average soda consumption has steadily decreased while the consumption of sparkling water has risen. Pepsi has a wider range of products that can appease a larger group of people. Even if they are not featured in as many locations. 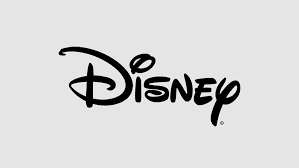 - They have 22 brands that have revenue of 22 billion a year. A companies balance sheet is one of the most comprehensive looks into a companies financial health- it looks at the companies assets, their debt and shareholders equity .. and yet, a lot of investors simply glaze over it or don't look at it all. For me personally, it is the first thing I look at when investing in a company. I want to see how well a company can hold up for the next 3, 5 and 10 years. 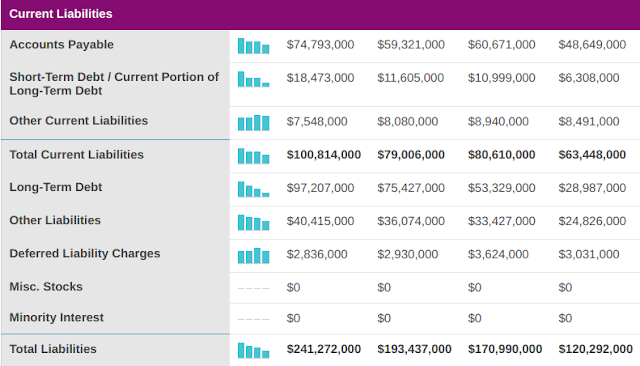 The balance sheet is broken down into four sections- the first is the current assets. On top of the section you can see it is sorted by year and you usually have the option to see quarterly data as well. The numbers you see are valued in 000's. For example the cash and cash equivalents for 2017 is represented as 20,289,000 but is actually 20,289,000,000 or, 20 billion. So let's get into what each line means. Cash and cash equivalents is simple, it is cash or anything that can be liquidated to cash instantly. This is important because you can see how much cash a company has on hand- they can use this equity for research and development, acquire new long term assets or other business ventures without taking out a loan. Short-term investments are any investments that management plans on selling within the next 12 months. This generally includes certificates of deposit (CD) and US bonds. Net Receivables represents money they have not received yet that they are due. For example if Microsoft sells a bunch of Xbox's to Game stop-they don't pay up front, but rather at a predetermined time- that is a net-receivable. Inventory is the products value on hand. A high amount of inventory is not always good- especially with tech stocks, as technology becomes obsolete so quickly. It's important to pay attention to this by industry. Other current assets Is anything that is an asset that does not fall under the category above. This could be anything from a contract, trademarks, patents, company real estate owned or even company vehicles. Total Current Assets is all the current assets added up. In the next section, you will see their long term assets. Long term investments is exactly what it sounds like- Investments the company has that they don't plan on selling for a year. This includes stocks, bonds, real estate and cash that they intend to hold on to. Fixed assets are assets that the company owns that they do not plan to sell- these are assets that keep the company churning profits. Such as machines, land and factories. Goodwill Is an intangible asset that arises when one company purchases another for a premium value. The value of a company's brand name, solid customer base, good customer relations and good employee relations are an example of goodwill. Intangible assets are non physical assets, such as patents, trademarks, copy write and goodwill. It is hard to put a dollar amount on these because of the uncertainty of future benefit. Other assets are any assets that have not been previously listed. Deferred asset charges are expenses for which a company has already paid but not yet subtracted from the assets. Total Assets are both the companies assets- both short and long term. Account payable represents a companies obligation to pay off a short term debt to creditors. Short term debt is any debt that is payable within the next year- this is important to see if a company can pay it's short term obligations. Total current liabilities are all debts payable within a year. Long term debt is the opposite, they are any debts that are payable in the long term. Other liabilities are payments due that don't fall in the categories above. Deferred liability charges is money a company receives from a customer as a prepayment for goods or services. It is listed on a liability until the goods are delivered. Minority interest is when someone has a minority share of the company and the company has to buy them out. Total liabilities is just everything payable. Common Stocks This refers to the par value (or stated value) of the stock, which has nothing at all to do with the market value of the stock. Capital Surplus Capital surplus includes equity or net worth otherwise not classifiable as capital stock or retained items. treasury stock is the figures in treasury stock refer to the cost of the shares a company has issued and subsequently reacquired. Etsy is a global online marketplace, where people come together to make, sell, buy, and collect unique items... Spread across 83 countries, they have over 50 million available products sold by almost 2 million sellers- And these numbers have been steadily increasing. The active seller numbers are up 35% in the last four years and the amount of buyers has nearly doubled in the same time frame. Meanwhile their shares are up 183% in the last year- but with the 52-week high, why would I want to buy shares? For one, I love their management team, their CEO Josh Silverman has been great since taking the helm in May of 2017. 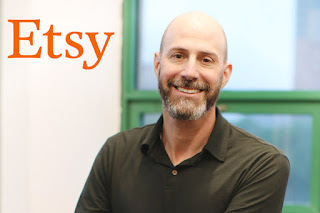 Before ETSY he held many executive roles for companies such as Ebay, Skype and American Express. He has been able to successfully churn in profits and pay down debt. In fact- Revenue is up 20%, net income is up over 300% and debt has actually decreased by 10%. The tear they have been on recently may be a reaction from the recent earnings call. Which is when Josh Silverman announced that they will be raising the sellers fee from 3.5% to 5%. The 1.5% change may not seem like much, but when you factor in a 40% increase on your largest revenue stream it adds up quickly. Even if the entrepreneurs that are selling on the site are upset about paying 40% more in fees- they have no other option. The lack of competition is astounding. 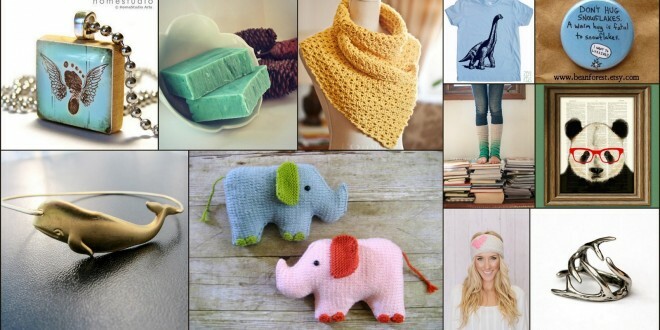 The biggest competition has been Amazon handmade- Who's fees are higher on top of a monthly maintenance fee. plus, not many people are aware of Amazon handmade. Amazon at it's core is known for an endless reservoir of inventory, something that is not compatible with the hand made movement. The entrepreneur numbers have been steadily increasing too- A report from the Kauffman Index of Startup Activity shows 550,000 Americans start new businesses every month. Experts attribute the rise in entrepreneurship to cultural and economic factors. With the mixture of a great management team, increased revenue great financial statements and the increase of entrepreneurship around the world- I am excited to see what this company can do. 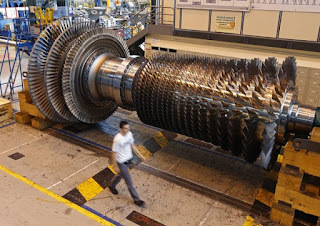 - They are ran on 30% renewable energy- they plan to hit 100%. Everyone uses or at least heard of Facebook or one of it's subsidiary's, but very few people realize how important it has become in our everyday lives. With four of the top five most downloaded apps of all time it's no surprise they were able to amass a two billion member mark. But how does a social media platform that is free to it's members make money? That brings me to point number one. As smart phones become more and more relevant in our every day lives, so do digital ads. Almost every application you download on your phone is either a paid subscription or has advertisements. Facebook is no different. With all their successful platforms it's no secret why they have been able to become a cash cow. In fact, in 2016 for the first time ever, Digital Advertisement revenue has surpassed TV ads in the United States, and it wasn't a fluke. It has been getting closer and closer each year before finally passing it.. And they are looking to expand the gap. It is expected by 2020 that over 113 billion dollars will be spent on digital ads in the U.S alone and over 347 billion globally, the 347 billion represents 84% more then what is expected for TV ads; 183 billion. Facebook ads are simply more effective then TV ads. Audience targeting with television ads is impossible- although you can choose where and when you want the commercial to play, there is no guarantee that a person will be sitting in front of the TV when it plays. TV viewership is down across the board and social media usage time has continued to rise, the average person spends 35 minutes a day on Facebook or a Facebook application which breaks down to over 60 more hours a year then people watching television. These ads aren't just random either.. When running an ad on Facebook you choose a specific age, gender and location to target, but it goes even further than that- you can target people based on recent life events such as a new job, new marital status and even recent purchases. 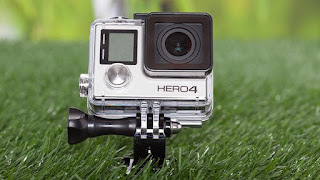 For example, say you purchase a camera- and all of a sudden, you see advertisements for accessories on that camera. You start seeing tri-pods, cases, lenses etc. you are being targeted by those advertisers based on your recent purchase; You and anyone else that falls under that criteria.Aside from being able to reach a better targeted audience, it's also a lot cheaper.. It takes just a quarter to reach 1000 optimized customers.. 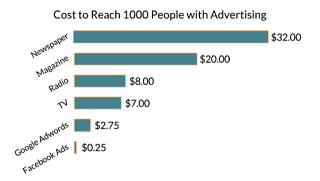 It takes TV ads $7 to reach the same audience. Facebook Messenger- 1.3 billion users. The results of being one of the most popular websites in the world and the most downloaded application ever has resulted in some great numbers. Since 2014 assets are up over 260%, net income is up over 440%, total revenue is up over 226% and gross profits are up over 240%. 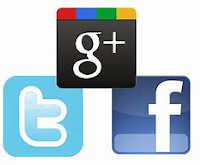 Although Google received the bigger portion of digital ad revenue- they aren't really in the market of social media. Their biggest platforms are Gmail, YouTube, Google search engine and Google maps.Twitter is the next biggest social media platform in the United States-and they have 20% of the amount of users Facebook does. The difference is that Facebook knows how to capitalizes on those massive numbers.. their revenue in quarter 2 of 2018 beat out twitters 2017 entire revenue by over 400%.Even if Twitter does become more popular, there is plenty of ad revenue to go around. With over 8 billion in cash and cash equivalents and no long term debt- they are in a position to have massive investments and new projects without having to take out any debt. They may even start buying back shares or paying a dividend. Currently trading under $160, this was a $220 per share company less the 3 months ago- so what went wrong? It seemed like nothing but an over reaction. Facebook has been a growth monster for the last few years. During the 2018 quarter two earnings they posted a 12% daily active users increase (DAU)- which fell short of the wall street expectations, causing the shares to drop 20%. But should an 11% increase in users cause a share price to be cut down by a fifth of it's value? No, but I'll take the discount. Especially when the rest of the numbers looked decent, they beat EPS by $0.02 and ARPU (Average price per user) beat expectations as well. Maybe they won't be able to grow members at a 20% rate ever quarter like they used to be able too, because there's only so many people in the world. Over 25% of the world already uses a Facebook Application. 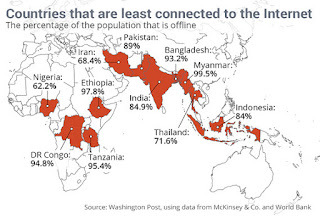 Over 60% of the world still does not have regular access to the internet..
That means, of the 40% that DO have regular access, 25% of them are using a Facebook application. As internet continues to become available to other parts of the world so will Facebook. Mark Zuckerberg is even trying to help developing nations gain regular access to the internet. Something that could change the world and the company forever.